Homepath property. 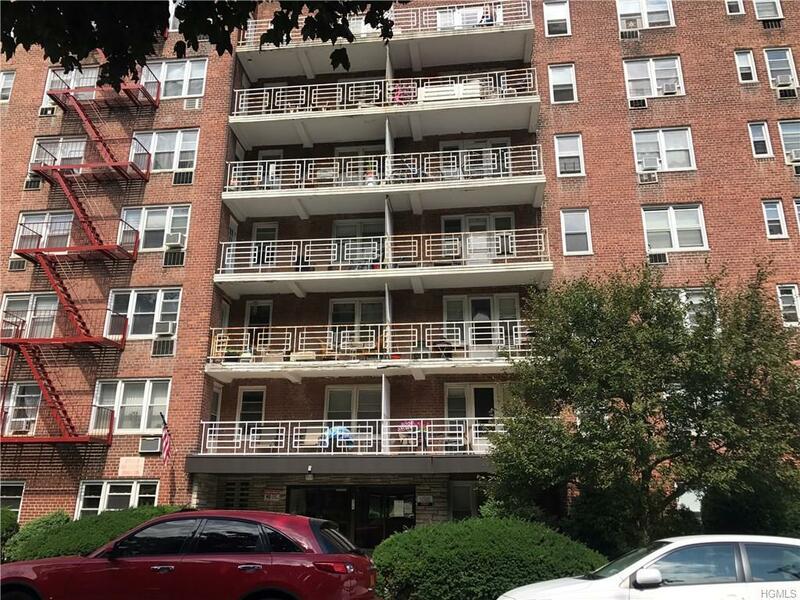 1BR Co-op on the 1st floor in move in condition. Hardwood floors through out, Laundry on premises, Storage and community room, renovation outside behind the building for additional parking, No dogs are allowed, Renting is allowed after 2 years with board approval, Bus stop outside the building, Grey stone Metro North is near by and just 30 minutes to NYC, 5 minutes to Downtown Yonkers and all it has to offer from Restaurants, Shops, Park, Library, Hudson museum, Untermyer Park, Cross County & Ridge Hill shopping center. Easy access to major highways. Monthly maintenance does not include star credit. Must be a cash purchase. The seller is offering $7500 IN BUYER'S CLOSING COSTS, MUST REQUEST WITH OFFER AND CAN BE APPLIED TOWARDS CLOSING COSTS OR FUTURE DUES.